The expression “like a kid in a candy store” exists for a reason, and most parents are all too aware of it. When children are in a place where treats are sold, a very yummy and tangible goal is right there in front of them. They’re tempted to spend every dime on the spot. So can they learn to save for longer-term goals like a bike or computer? Even young children can understand money and the value of setting financial goals. According to a report by University of Cambridge researchers, seven-year-olds can understand basic financial concepts. In fact, introducing children to saving early might give them a head start on a lifetime of good money habits. And it could make those trips through the toy store or down the cereal aisle a little more pleasant. If you’re looking for ideas to help teach kids the rewards of thoughtful spending and saving, consider some of the activities below. As adults, we’re used to seeing goal charts at work, or in charitable donation campaigns, and they can motivate children, too. Work on a craft project together to help your kids start thinking about saving. Draw or paste a picture of their goal – a bike, a toy, a visit to a theme park – and create a chart to track their savings. Keep it somewhere visible (on the fridge perhaps) so they’ll get frequent reminders of what they’re saving for. Get kids accustomed to putting aside a portion of their cash for something larger. Use jars, piggy banks or envelopes, label them with “spend” and “save,” and every time your child receives money, divide it into the different categories. Allow the “spend” contents to be spent as the child likes, including small purchases to satisfy the instant gratification urge. Meanwhile, the “save” contents accumulate for a larger, longer-term goal. 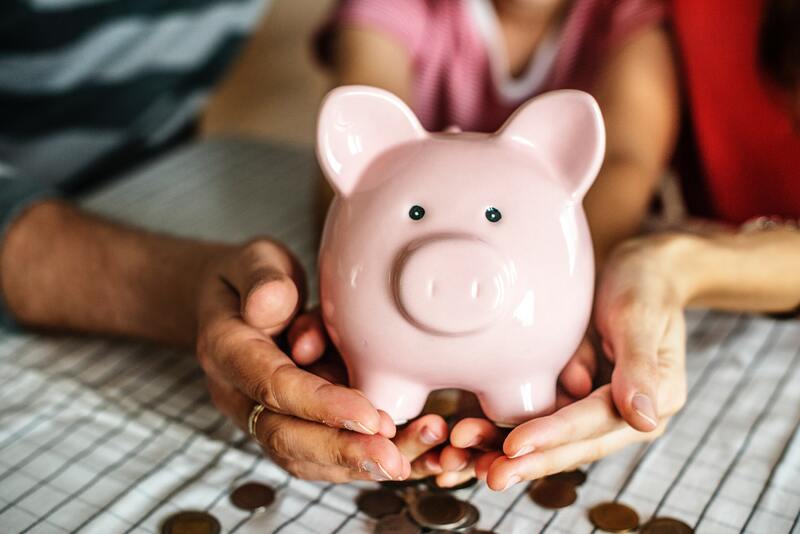 It takes practice, but developing savings habits at a young age will go a long way to helping your children build a bright financial future.